Our first conference will offer you opportunities to debate the many changes taking place in the profession. 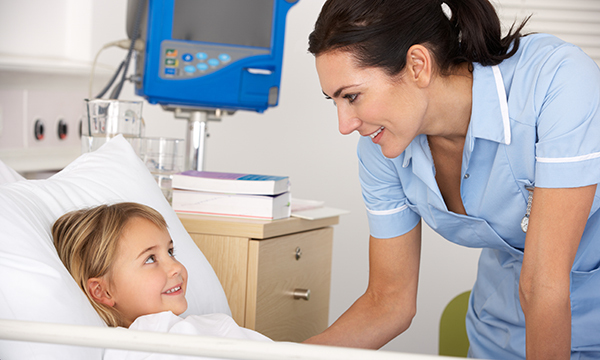 This November sees the first ever conference organised by Nursing Children and Young People, titled Children’s Nursing: Fit for the Future? It takes place at a time when the Nursing and Midwifery Council (NMC) plans to overhaul nurse education, when there is concern about a lack of nurses in all areas, when advances in technology and knowledge of diseases processes have taken us further forward than any of us might have imagined, and when the advent of nursing associates and apprentices will change staff mix even more. We have put together a conference programme that covers as many specialties and issues as we could include in a single day and, if you attend, we hope you will find it fascinating and thought provoking. The conference offers you opportunities to update your knowledge with continuing professional development and revalidation in mind. The topics covered will span the age range: from neonatal care upwards. It is widely believed that the new NMC standards will mean more generic education with a range of core skills. Some children’s nurse academics are concerned that the overhaul may go too far and dilute children’s nurses’ skills. But there are also concerns that those in practice now and in the future need to know more about issues, such as mental health and learning disability, that have their own separate fields of practice. With these concerns in mind the conference will include sessions on dealing with patients with learning disabilities and those who self-harm, alongside areas such as diabetes management, clinical holding and sepsis. Posters have been added to the event and you can submit an abstract here. If you have not booked your place, I urge you to do so. You can find out more here.